Reprint from September 12, 2012, from AOPA's Views From the Region (VFR) blog (https://blog.aopa.org/aopa/author/yplatt/page/5/) but updated multiple times since. Yasmina Platt, AOPA’s Central Southwest Regional Manager, takes NASA’s Physiological Training, including the high altitude chamber and rapid decompression exercises, and shares her experience and highlights. I have been trying to take NASA’s Physiological Training (a.k.a. high altitude chamber training) for several years now, but it wasn’t until High Performance Aviation, LLC scheduled it as an FAA Wings safety seminar that I was able to sign up. For those who might be unaware, NASA’s *free* Physiological Training covers the physiological stresses of flight. More specifically, it teaches attendees about gas laws, hypoxia, hyperventilation, trapped gas, decompression sickness, spatial disorientation, cabin pressurization, and oxygen equipment in addition to exposing participants to high altitude chamber and rapid decompression exercises. 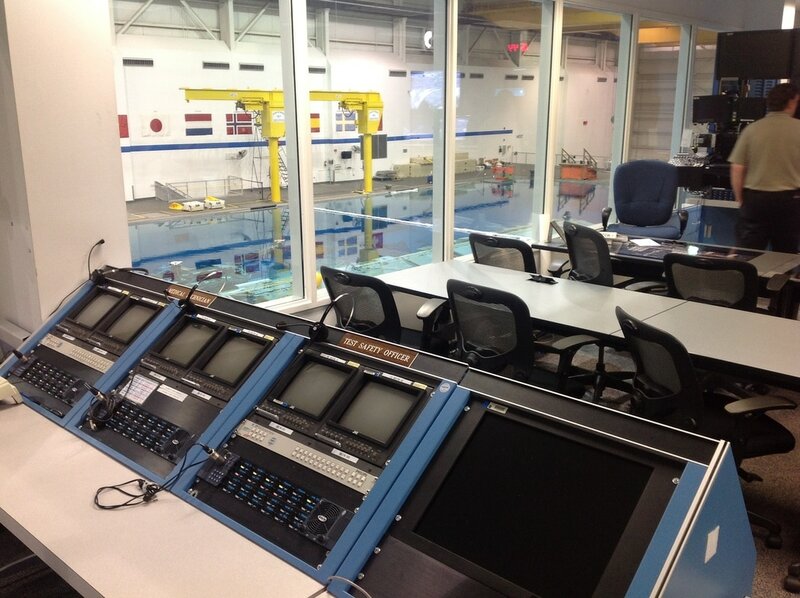 ​Early this morning, on September 11, 2012, my husband (also a pilot) and I arrived at NASA’s Sonny Carter Training Facility at the Johnson Space Center in Houston. – Air is composed of 78% nitrogen, 21% oxygen, 0.03% carbon dioxide and 0.97% trace gases. – Hypoxia is a state of oxygen deficiency (not lack of oxygen) in the blood, tissues, and cells sufficient to cause an impairment of mental and physical functions. – Hypoxic signs are objective and, therefore, they can be seen by others. They include: increased rate and depth of breathing, cyanosis, slurring of speech, poor coordination, mental confusion, euphoria, belligerence, lethargic, and unconsciousness. – Hypoxic symptoms are subjective sensations that only the person who is hypoxic can detect. These include: blurred vision, euphoria, nausea, tunnel vision, numbness, dizziness, air hunger, tingling, fatigue, hot and cold flashes, apprehension, headache, and belligerence. – Although the percentage of oxygen contained in the air at 18,000 feet is identical to that at sea level (a little over 20%), the amount of air our lungs take in with each breath contains half the oxygen found at sea level. – Respiration determines how well we function in flight. At 5,000 feet, we start to suffer hypoxia. Above 10,000 feet, the pO2 is too low to support life. This is different from the FAA’s 12,500 feet supplemental oxygen rule. Refer to 14 CFR Part 91.211 if you want to refresh your memory. – The most dangerous feature of hypoxia is its insidious onset, a situation that comes on slowly, without obvious symptoms at first so the person is not aware of its development. – If you ever experience any of the flight physiological sicknesses, it is recommended that you visit a flight medicine doctor (or diving doctor). After lunch, we were assigned oxygen equipment composed of a helmet, a pressure demand mask and a few connectors. Then it was time for the NASA hypobaric (high altitude) chamber, the same one used for astronaut training. Cool!! We are going to play astronaut for a day! =) The high altitude chamber and rapid decompression exercises we participated in are designed to enable people to identify their own symptoms to hypoxia while inflight 1) in an unpressurized aircraft without oxygen or 2) in a pressurized aircraft and cabin pressurization is lost. 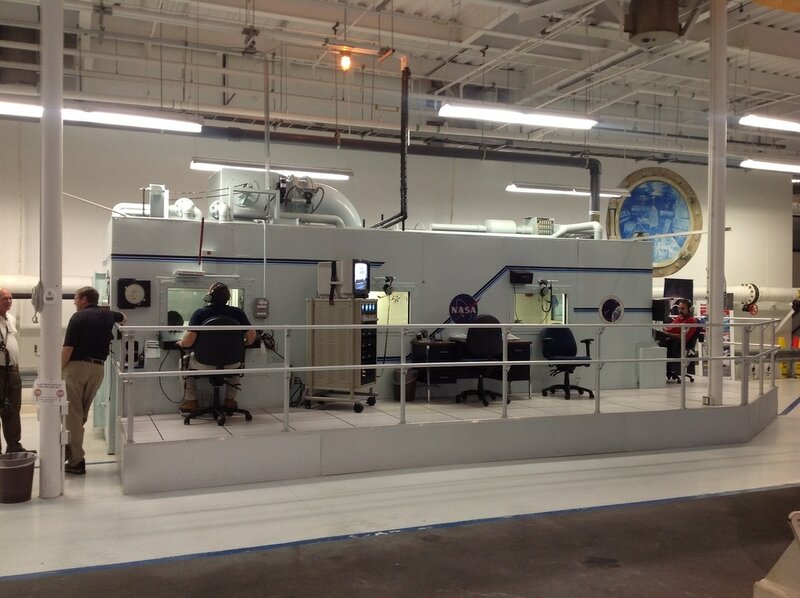 Let’s talk about the first exercise first… the high altitude chamber (see picture below). Once we were all assigned a seat, we breathed 100% aviator oxygen for 30 minutes to eliminate about 30% of the nitrogen out of our systems (remember the air composition explained above). At that point, the air inside the chamber was released, taking all of nine of us plus two instructors (several others, including a flight surgeon, monitored us from outside) to 25,000 feet at a fast 5,000 foot a minute rate. Once stabilized at 25,000 feet, we all removed our oxygen masks (in two different groups). At 25,000 feet, there is only about 1/3 of the amount of oxygen found at sea level. Needless is to say that it only took us a few minutes before we started to notice hypoxic symptoms/signs. It only took a couple of minutes for some and others were able to stay off the oxygen for about 4 minutes or longer. We were told to last as long as we could but to don our masks when we felt we needed to, knowing that everybody had to have oxygen back on at minute 5 to avoid unconsciousness. It was interesting to see how different people reacted to hypoxia in different ways, which is what makes this training so important. Most of us pilots know the “typical” symptoms of hypoxia; however, none of us know how our body reacts to hypoxia until we are exposed to it. It is also important to note that most people will experience hypoxic signs and symptoms in different orders. While some might start by feeling dizzy, others might start with a blurred vision, for example. Another important thing we learned in class is that a typical person has a blood oxygen saturation (the blood’s ability to carry oxygen) of 98% at sea level while that percentage goes down to 87% at 10,000 feet. This was verified by one of the class participants by using an oxygen sensor in one of his fingers. 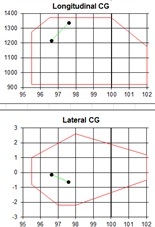 As soon as we leveled off at 25,000 feet and he took his mask off, his percentage went down to 86-87%. Then it continued decreasing to about 81% before he had to put his oxygen mask back on. – Minute one: Feeling ok.
– Minute two: Feeling ok but started getting a little dizzy. – Minute three: Feeling ok but started getting really hot and my dizziness continued. – Minute four: Still really hot and my legs started to tingle. – My vision was pretty clear the entire time and so was my thinking/brain from what I could tell. I was able to complete the exercises without too much trouble; however, it does take more effort to concentrate (and this might prevent you from doing other tasks at the same time). Remember “insidious onset”? Yes, it is very difficult to know when you are getting hypoxic and, worse yet, when you are really “losing it.” Hypoxia doesn’t give much warning. The last exercise of the day was the rapid (1 to 10 seconds) cabin decompression. In groups of two or three, we each experienced what all flight attendants demonstrate on commercial airliners when they simulate the oxygen masks dropping from the overhead. I never questioned the fact that they want us to “wear our masks first before assisting others;” however, I learned exactly why during this exercise. If you don’t have enough oxygen yourself, you can’t function and, therefore, you can’t help anybody, causing you and the other person to quickly become hypoxic. Some of the indications of a rapid decompression include explosive noise, windblast/flying debris, fogging (we certainly saw that! ), temperature drop and pressure. I am very glad I now know the hypoxia symptoms I (again, different from what others might experience) could experience inflight, how to recognize them and when to take action before it’s too late. Should I have experienced hypoxia in an aircraft (rather than in a chamber) for the first time, there is no doubt in my mind I would have passed out, become unconsciousness and potentially passed away. My main two symptoms were hot flashes and leg tingling. How many times do we feel hot (and sweat) in an non-air conditioned aircraft? Many times… so I would have just opened or turned the air vent towards me a bit more. And the leg tingling… well, this happens to me sometimes so I wouldn’t have thought too much about it. Pilots (and passengers) have seconds (in the case of the rapid decompression) or just a few minutes to recognize their symptoms before putting their masks on or risking becoming unconscious. After going through this training, my personal altitude limitation without appropriate oxygen will be 10,000 feet regardless of the FAA’s conservative supplemental oxygen regulation. We all found the training to be invaluable for pilots and I wish more pilots got a chance to take it. I want to thank B.R. with High Performance Aviation, LLC for his initiative and work in scheduling several different classes to accommodate a total of 75 pilots who registered to undergo this training. I also want to thank the wonderful staff at NASA’s Human Test Support Group for their dedication and for sharing their knowledge with us. Some of the instructors involved included S.C., J.R., S.S., R.W., B.G., B.B. I am protecting their identity by only sharing their initials. 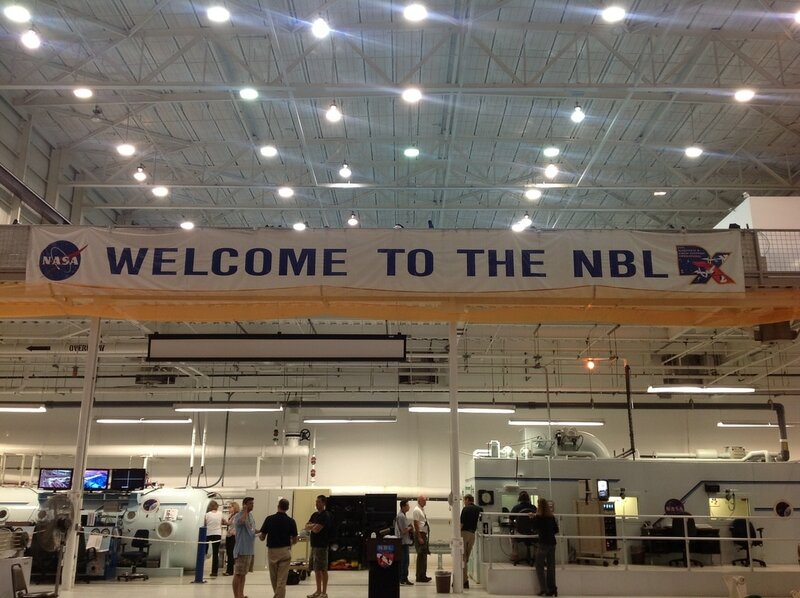 The instructors were even nice enough to show us NASA’s Neutral Buoyancy Lab (NBL), a majestic 202’ long x 102’ wide x 40’ deep pool with 6.2 million gallons of water where astronauts train their spacewalks in the closest environment to weightlessness. 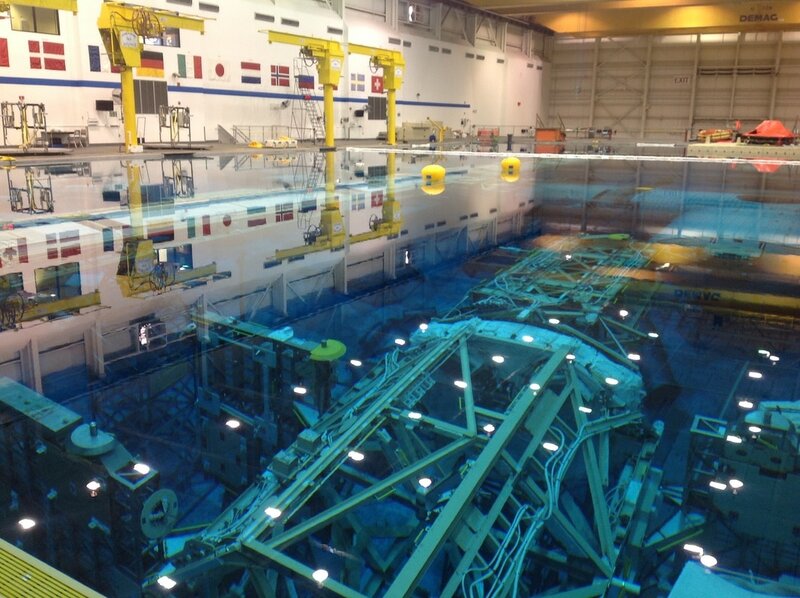 The pool had full scale replicas (although not entirely attached due to its large size) of parts of the International Space Station. - A new pilot's first flying vacation, about a trip from Greenville, SC to Nashville, TN, Indianapolis, IN, and Dillard, GA.
- 72 hours in Phoenix, with a side trip to Sedona, AZ. - An Alaska Logbook: Excursions to Chena Hot Springs and Talkeetna, close to Fairbanks and Denali. Feel free to send me other suggestions via the "About and Contact" page and I'll be happy to add them! Does it help you if I show you this collage? ​Uh huh! Several of the holiday “symbols” or “characters” fly =) Pretty awesome, right? Or maybe I’m just easily excited? That could be but I think it’s pretty cool that even holiday characters want to fly instead of doing anything else or using any other type of transportation. Why is that? Why do they fly? Where they invented before or after the Wright Brothers’ first flight? Were their creators visionaries? Halloween is thought to have originated with the ancient Celtic festival of Samhain and, in the 8th century, Pope Gregory III designated November 1st as a time to honor all saints and martyrs, incorporating some of the traditions of Samhain to include All Hallows’ Even (later referred to as Halloween). Early depictions of witches flying go back to the 15th and 16th century in Europe. Storks have been associated with babies and family for centuries. References can be found in old Greek, Egyptian, and Norse mythology among other. The earliest reference to the tooth fairy I found was for 1908. Santa appears to go back to, at least, 1822. Even 4th of July is normally associated with military jets, fly overs, freedom (and what better freedom do we have than being able to fly ourselves! ), and other flying things (like rockets and fireworks). Well, we know the Wright Brothers successfully piloted their first powered airplane in 1903. So, some of these characters were flying before it was even a feasible activity for our ancestors. Maybe their creators (like Santa's) were, in fact, visionaries; however, some of them are animals that can fly on their own power and witches could theoretically fly because of their "witch powers" and the hallucinogens they made and took. But why did the creators choose animals that could fly versus animals that could not fly, for example? What made flying animals special? I really think it's because flying is magical. Human kind has been fascinated with flying for centuries. Let’s keep it that way! I have fallen in love all over again… I have learned to fly all over again… Flying helicopters has been the perfect combination of art and Science, Technology, Engineering, and Math (STEM). I would say science is what gets them in the air but art is what keeps them flying. What Does Helicopter Flying Feel Like? What do you think all those quotes are? Well, they are marketing slogans from convertible ads! But it’s funny how they can apply to flying Robinsons too. They really feel like low-to-the-ground sporty convertibles with fantastic visibility, maneuverability, and versatility. At least that has been my experience. And who doesn’t like convertibles? It’s hard to come up with a favorite helicopter maneuver; however, I really enjoy those things I can’t do in an airplane. For example, pirouettes (flying in one direction, at hover altitude, while rotating around oneself) – challenging but lots of fun. Quick stops because you go from a take-off or cruise configuration to a combo between the beginning of an autorotation and the end of a steep approach. And, for a while, I just wanted to do autos (or autorotations, simulated engine outs) as normal approaches. There’s something about dropping 600-800 feet in just seconds that I find amusing. The differences between airplane and helicopter flying are immense. So much so that it does not feel like “just an add-on” or transition training; it feels like learning to fly all over again. The obvious one… the pilot sits on the right side vs the left side for historic reasons, so that we can, on occasion, free the left hand to manipulate switches, and so we can more easily conduct right hand pattern operations and keep airplanes and helicopters away from each other. 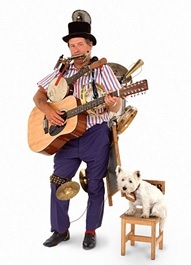 Below, I will explain some of those items. Helicopter pilots have both of their hands (and feet) pretty occupied at all times but certainly around the airport environment (and especially when taxiing or maneuvering low to the ground). During my first or second lesson… I was (assisted by my CFI) practicing hovering, pedal turns (turning around the CG, without moving forward, backwards, or to either side), etc up and down a taxiway when an airplane turned towards us. We immediately got out of the way and hovered parallel to it, over the grass, letting the airplane taxi past us. The pilot of the airplane waved at us to say hi! Lesson #1 (for me, anyway): Helicopter pilots are not rude if they don’t wave back. They just may not be able to ;) Their left hand is on the collective, the right one is on the cyclic, and cannot let go! I also would have never thought changing frequencies would become one of the hardest things to do but I initially found it to be that way. Why? Well, similar to lesson #1. Autopilots in helicopters are extremely expensive so not that many of them have them. Even though some helicopters (like Robinsons) have trims, they are not like airplane trims where, once you set it, the airplane will stay pretty stable and you can let go for a while before a correction is needed. You literally can’t let go of the cyclic (right hand) and some helicopters (like the one I flew during my cross countries) have pretty sensitive collectives (left hand), making it hard to let go of it in order to change frequencies, look at charts, etc. I learned that the only safe way to do it was to temporarily set the collective’s friction lock to keep it from lowering immediately. And I say temporarily because you don’t want to fly around with your friction lock on all the time. If you need to execute an auto, one of the first things you do is lower the collective all the way down. You don’t want the lock to prevent you from being able to do that. Not to mention you also need to raise the collective at the bottom of the auto to cushion the touchdown. Oh and how in the world did people fly, without doors, and paper charts in helicopters just a few years ago? Phew! How did they manage to flip it to the right area? I want to bow to them. Thanks, ForeFlight, for making my life a lot easier! 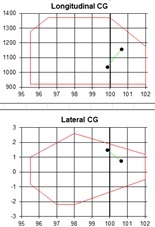 Loss of Tail Rotor Effectiveness (LTE). I am not explaining them because I could write an entire blog about each of those separately. If you are interested in reading about them, take a look at the FAA’s Helicopter Flying Handbook. You can find it, for free, here. Thank you, Leonardo da Vinci, Juan de la Cierva y Codorniu and Igor Sikorsky, for all your hard work. You had a LOT to overcome. I don’t mean the speed in which you need to react to situations. That is definitely much faster in a helicopter than in an airplane. I mean indicated airspeed! While going slow in an airplane is frowned upon (rightfully so because of stalls/spins unless you are in a STOL capable aircraft), it’s one of the most beautiful things in helicopters. But, I’m not going to lie, the transition from seeing the airspeed indicator go from an approach speed of about 60 kts in a small GA plane to close to 0 kts for a steep approach in a helicopter raised up my blood pressure a bit at first. I see no real Center of Gravity (CG) difference between flying an airplane solo vs flying one with another CFI or passenger. But, woah, that’s not the case in a helicopter. It is way different! 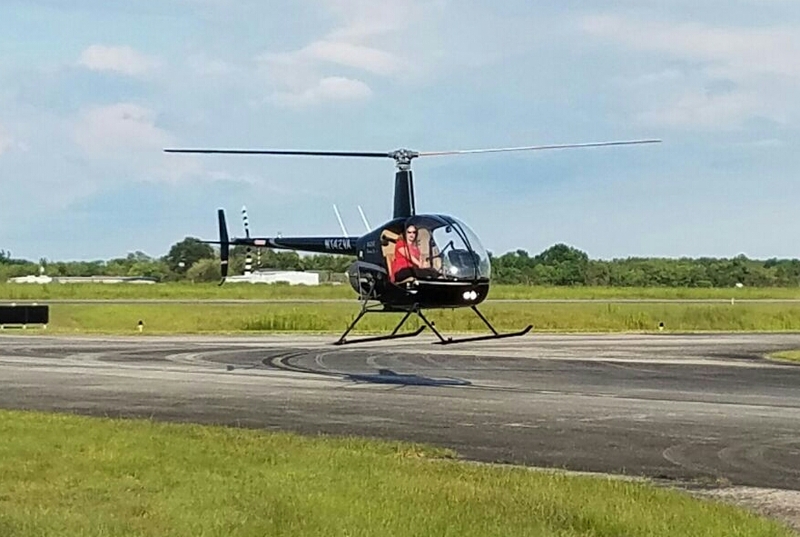 As a helicopter student flying a R-22 (and maybe because of my airplane experience), I had no idea how different it would be to fly solo until I actually did it for myself. Yeah, I had read all about it, I remembered my CFIs talking about it, and I had seen it for myself in the CG/weight and balance calculations/graphics. But there’s just nothing like experiencing it for yourself. With both seats occupied, the helicopter is pretty balanced (both laterally and longitudinally). However, when you remove the left seat weight, it is no longer balanced and pilot inputs need to counteract the difference in acting behavior (especially as fuel is getting burned and the CG moves forward). When picking up, I had to add a good amount of left cyclic (to counteract the weight difference) and left pedal (to counteract translating tendency). When setting down, I had to lower the collective firmly so it didn’t lift again as it was lighter than normal. The helicopter also had a tendency to go backwards in both scenarios. It also means less weight = less power needed = more power available. In airplanes, we always take off with full power and we always pretty much use the same RPM/MP setting in cruise. However, in helicopters, the power used/necessary (different for takeoff, hovering, and cruise) depends on that day’s temperature and density altitude. When flying close to max weight, you could be exceeding those power settings or just not able to fly or do certain operations/maneuvers (like hovering, for example) at all. I can understand why most dual rated pilots won't fly both types of aircraft on the same day now. They are so incredibly different! The question is not whether or not a person can fly both safely in normal conditions but whether that person will react to an emergency correctly should one occur. All aircraft have different systems and work slightly different but, in an emergency, these contrasts could cause a pilot to confuse one for the other and the brain/reflexes may not react correctly. Lowering the nose in a helicopter experiencing a low RPM situation actually lowers the RPMs even more, which could result in a rotor stall (especially if the pilot also adds power by raising the collective). Controlling RPMs in a helicopter means life! Aggressively pushing the nose over in a helicopter may cause a low G/mast bumping situation which, in turn, results in main rotor shaft separation and/or rotor blade contact with the fuselage. Not a fun thing to try! This is so critical in Robinsons that the manufacturer has a special safety alert on the topic and the FAA created an entire FAR section just to cover this issue as well. In fact, I had an endorsement on my logbook even before going on my first discovery flight in a helicopter. It is called SFAR Part 73. Also… if you lose the engine in an airplane, you don’t pay attention to RPMs, just airspeed. However, if you lose the engine in a helicopter, controlling rotor RPM (and airspeed although in a second place), again, means life! It may sound simple, you may wonder how the heck that could happen to people but history proves that brains can do funny things when faced with quick, out of the ordinary, and stressful situations. And none of us are immune to it. Like with airplane training, you have two routes to choose from: Part 61 and Part 141. If you are a commercial airplane pilot like me, you can also choose between obtaining a private add-on or a commercial add-on. I chose Part 61 because, when I started, there was only one flight school around and they were not 141 approved. I also chose to start with the private add-on option for two reasons: cost and PIC time needed. I will not go into more detail here since you essentially have four different options. Just take a look at the regulations yourself and consult a local CFI/examiner/FSDO if you have questions. Different people/FSDOs may interpret the “add-on” part differently. For example, Part 61’s helicopter section for private pilot certificates states you essentially need 40 hours total time, of which 20 need to be dual and 10 need to be solo (BTW – the FAA’s SFAR 73 also says you need to have 20 hrs dual before you can solo). Most schools interpret it to only be 30 hrs total time for helicopter add-ons; the total time only applies to initial certificates. However, I personally do not read it that way and neither does the FSDO/examiner/CFIs I checked with. But, honestly, I would not get to hung up on it because, truthfully, most people (initial or add-on) cannot finish it with less than 40 hrs anyway. I had 43 hours before I took my checkride and I really could not have done it much quicker than that. Learning to fly a helicopter is not like learning to fly a seaplane. Keep in mind a seaplane is just another class; helicopters are an entirely different category. There is no question helicopters are far more expensive, versatile, and challenging than airplanes but nothing worthwhile comes easy in life. I’m going to continue on to obtain a commercial certificate when funds allow. ​One of the things we are trying to do here at AOPA is to increase recreational flying. We can do so by opening up more airstrips, preventing airstrips and airports from closing, engaging in fly-ins and other flying events, introducing new people to general aviation, etc. ; however, we can also increase recreational flying by increasing visitation to some of the nation’s most beautiful spots… the U.S. National Park Service system via its airports. While at EAA’s AirVenture in Oshkosh this year, I attended a great seminar about “flying to national parks” and I wanted to share some of my notes with all of you. The seminar was taught by Cliff Chetwin, retired Park Ranger and Park Service pilot for the National Park Service. ​Careful planning includes all of the normal cross country planning tasks (checking weather, planning a route, looking for alternates and alternatives, etc.) plus ensuring you and your aircraft are capable of operating at the intended airport. Some of these airports are surrounded by mountains, at high elevations, at high density altitudes, etc. and some only have gravel or grass strips with rising or descending terrain. If you need to bring a CFI with you, do it! It is also a good idea to contact the airport prior to departure to ensure you will have transportation upon arrival and that they will have fuel for you, if needed. Some of these strips are pretty remote and getting fuel can take time (sometimes days or weeks). And, while you are at it, ask the airport manager for any arrival/departure tips he/she might have as a local. Avoid noise sensitive areas (picnis areas, camping areas, key sightseeing areas, public areas, etc.). Don’t overfly trails/rivers since they are usually transited by hikers, rafters, etc. Plan your route over high noise areas, such as roads. Fly later in the day when convection will lift your noise. Fly downwind of noise sensitive areas. The wind will take the noise away. Fly as high as practical with one mile separation from terrain. Minimize your run-up as much as practical when near noise sensitive areas and point the aircraft towards that area. Use Vx speed for takeoff and climb to keep as much of the noise over the airport as possible. You can also climb over the airport (doing 360s) to (or close to) your cruise altitude. Reduce takeoff power ASAP when safe. Avoid repetitive patterns (like flying up and down a beach as an example) and high power maneuvers. Use lower RPM settings. Adjust adjustable props as soon as practical. Use good, short field landing techniques. Avoid “dragging it in” and having to apply power towards the end and close to the runway because you are low. Plan rollouts to minimize use of beta/thrust reverses. Helicopters should minimize descent time spent at 55 kts or less. FAA Advisory Circular (AC) 91-36D (VFR Flight over Sensitive Noise Areas) also encourages pilots making VFR flights near noise-sensitive areas to fly at altitudes higher than the minimum permitted by regulation and on flight paths, which will reduce aircraft noise in such area. This AC can be found athttp://www.faa.gov/regulations_policies/advisory_circulars/index.cfm/go/document.information/documentID/23156. You should, of course, also watch for wildlife on airport grounds. So, how do you know which parks have airports and which ones you can fly into? You can fly into any public use airport in or near a park and you can also request written permission from a Park Superintendent. – Big Bend National Park in Texas (3TE3). Private use airport. Permission required prior to landing. – Big Horn Canyon (5UF) in Montana which has great fishing. Winds are normally a problem and there is no fuel on the field. ​Death Valley, California: Two airports are available. Death Valley is one of the (if not “the”) hottest places on earth so density altitude is definitely an issue at both airports regardless of its elevation. It is not uncommon to see temperatures over 110 F. While one of the 14 noise rules said to try to fly later in the day to allow convection to lift your noise… flying earlier in the day is actually recommended at Death Valley due to density altitude considerations and safety. L06 – Furnace Creek. North of the National Park. There is no fuel at the field or tie downs so bring your own. Note its elevation is – 210 feet (yes, minus! 210 feet). L09 – Stovepipe Wells. West of the National Park. – Ft. Vancouver (VUO – Pearson Field) in Washington State. Be aware of Portland International’s (PDX) Class B airspace close by. – Glen Canyon, Utah: Two airports are available. – Grant Teton (JAC – Jackson Hole), Wyoming. One of the better airports in the NPS system; even airliners fly into this airport. – Kalaupapa (PHLU), by Maui, Hawaii. – Lake Mead National Recreational Area, Nevada: Three airports are available. A seaplane base is also available. – Tuskegee Airmen (06A – Moton Field Municipal), Alabama. Nice, attended airport. – Wrangell/St. Elias, Alaska: 68A (seaplane base) and PAWG (airport). – Isle Royale in Lake Superior, Michigan: Two seaplanes bases, one at Rock Harbor and another one at Windigo. – Dry Tortugas, Florida: Because of sensitive resource issues, any individual wishing to fly a private seaplane to the park must have a Special Use Permit (http://www.nps.gov/drto/parkmgmt/specialuse.htm) issued through Everglades National Park. There are no facilities at the Dry Tortugas National Park so all seaplanes must have enough fuel and supplies for a round trip flight. Remember that you can always find more information about specific airports athttp://www.aopa.org/airports/ or on FlyQ (http://www.aopa.org/Flight-Planning/FlyQ). And, with that, let’s do some flight planning and go flying! I look forward to visiting some of these airstrips. I work for the airport. Do you work for the airport/airline? Soy piloto. He venido/volado en ese avión. I’m a pilot. I came/flew in that airplane. Por favor abróchese el cinturón de seguridad. Follow me. I’ll show you. I’m here on a business trip. ¿Cúanto tiempo va a estar aquí? How long will you be here for? Voy a estar aquí una semana (unas semanas). I will be here for one week (a few weeks). I need to see your passport, please. No, no tengo nada que declarar. No, I don’t have anything to declare. Usted tiene que pagar impuestos. ¿Cual es su ocupación? o ¿A qué se dedica? What is your occupation? or What do you do? ​¿Dónde se va a quedar usted? ​¿Quién le viene a recoger? How is coming to pick you up? Please, come in, sit down. ​Looking for an airport to grab a $100 hamburger? Want to visit an aviation museum? How about camping by your airplane? Just simply want to visit an airport to watch airplanes take off and land? We may consider these “friendly airports” and I have compiled a list of them within our Central Southwest Region (NM, TX, LA, OK, AR, KS, MO, NE, and IA). ​You are a “rotor head” and want to visit off-airport restaurants? You can do that too although this list is pretty elementary and mostly Texas centered right now. I just got it started and I welcome feedback and additions! Note: The information above is only as good as the sources provided. Please confirm before using and remember to obtain permission prior to landing with all private-use facilities. 1/15/2015 update: Editors of AOPA’s Pilot Magazine have created their one “Aerial Adventures: 99s Way to Fly” eBook and it has lots of great ideas for additional getaways, routes and airborne challenges as well. You can get a copy from Apple’s iBooks, Amazon’s Kindle or Barnes and Noble’s Nook stores. Learn more here: http://www.aopa.org/Products-and-Services/AOPA-eBooks. 2/12/2015 update: And, what if you need a courtesy car? How do you know if the airport you’re going to has one? No worries. Now, there’s an app for that… It’s called “Airport Courtesy Cars” (duh! haha) and can be downloaded for both iPhones and Androids. You can find them by state or with a map feature. Learn more about it here. I want to thank the state aviation offices in the nine states for their help identifying some of these airports. However, please send me any suggestions and/or items that should be added to this list… an airport close to you or one that you have visited that provides access for both the flying community and surrounding community by way of picnic tables, a viewing area, a seating area, a restaurant, a park, etc as a way to show to the community the value of the airport, the types of operations that go on, spark kids’ interest in aviation, and so on. The more robust the list is, the better. Still need or want more reasons to fly and visit different community airports? ​Read http://www.aopa.org/News-and-Video/All-News/2012/May/10/Add-up-the-reasons-to-fly to learn about incentive programs to encourage pilots to explore different airports around them while getting prizes. Now go out and fly! Enjoy your community airports!! Whether you are young and are looking for a career, whether you are retired and are looking for activities to do on your spare time, or whether you are somewhere in the middle looking for transportation for either business, leisure, or both… flying is for you! Life a journey, not a destination! And, the sky is not the limit for pilots! Legend: Each idea will have a letter by it identifying the minimum type of pilot certificate you need to do that particular activity. For information about the differences between them, visit:http://www.aopa.org/letsgoflying/ready/certs/categories.html. Note that a lot of these things can be done with airplanes, balloons, gliders, helicopters, seaplanes, etc so I did not go into those specifics. A lot of those activities may also require special endorsements, ratings or sign-offs but I did not go into those specifics either. I would like to encourage you to review “14 CFR Part 61.113 – Private pilot privileges and limitations: Pilot in command” to ensure that you are able to do some of these things with a private pilot certificate. Experience freedom: P. Yes, like no other… every time. View things from a 3D perspective: P.
Be an air tour guide: You can do this for fun with your friends (P) or as a job (C). There is nothing like sightseeing from an aircraft. Fly for the airlines: A. Regional or mainline. Passenger or cargo. Fly for a charter company: C. Like XOJET, for example. Fly for a fractional ownership company: C. Like FlexJet, for example. Fly for a smaller cargo carrier: C. Normally flying time sensitive cargo at night, such as lab specimens, money and check and things for banks, organs, etc. Fly for an individual company or person: C.
Fly for a flight department: C.
Of an oil company. For either staff transportation (sometimes going to oil rigs) or cargo transportation. Fly for the government: C.
State agencies whether it’s for the Department/Division of Aviation/Aeronautics flying staff and elected officials or whether it’s for other departments, such as the Department of Public Safety or the Department of Fish and Wildlife. National Aeronautics and Space Administration (NASA): A. ​​Work for a manufacturer: C. You can work for an aircraft manufacturer or a supplier (like an avionics manufacturer). As an aircraft accident investigation expert. Fly selling aircraft: C. For either yourself, an aircraft dealer or an aircraft manufacturer as mentioned above. Flight test an aircraft before purchasing it: C. Most prospect aircraft owners perform a pre-buy inspection to ensure that the maintenance of the aircraft was done correctly (books are complete, aircraft is in good shape, etc). Some prospects also hire experienced (in that type or model of aircraft) pilots to fly it before purchasing to ensure that it also flies like it’s supposed to. Become a news pilot: C. Report local news from the air. Become an air traffic reporting pilot: C. Make everybody’s life easier by reporting what the road traffic conditions are before getting there. Sometimes the “news pilot” (see above) and the “traffic pilot” are the same. Learn something new and become a better pilot while you’re at it: P.
Learn a different skill set. Give aerobatics a try. Fly an actual instrument flight! Experience flight in and over the clouds. Put your skills to the test in a full motion simulator. Want a bigger challenge? Try an airliner’s simulator. Attend regular safety seminars. http://www.aopa.org/Pilot-Resources/Safety-and-Technique/in-person-seminars andhttps://www.faasafety.gov/SPANS/events/EventList.aspx. You may also get a discount on your aircraft insurance. Fly into the world’s busiest airport – KOSH during the annual Air Venture: Yes, at least, once and maybe with someone who has done it before. Please read the notam! Learn about flying to/in Alaska: http://www.aopa.org/Flight-Planning/Alaska and http://blog.aopa.org/vfr/?p=2162 from our Alaska Regional Manager. Here is a recent a webinar AOPA and Pilot Getaways put together titled “Fun fly-in destinations in Canada:”https://goto.webcasts.com/viewer/event.jsp?ei=1060904. Here is another AOPA webinar titled “Flying to the Bahamas:”https://goto.webcasts.com/starthere.jsp?ei=1044808. EAA Young Eagles (take kids on their first flight):https://www.eaa.org/en/eaa/aviation-education-and-resources/eaa-youth-education/eaa-young-eagles-program. You must be an EAA member and belong to a chapter. EAA Eagle Flights (take adults on their first flight):http://www.eaa.org/en/eaa/aviation-communities-and-interests/aviation-beginners-and-newcomers/introductory-flights-for-free/eaa-eagle-flights-program. You must be an EAA member and belong to a chapter. Invite your local school or school district to your airport/your hangar. Or just simply take your friends, family members, neighbors, etc. Be a search and rescue pilot: http://www.insidejobs.com/careers/search-and-rescue-pilot. You can put your skills to work with the Civil Air Patrol (see below). Help accelerate conservation success through the powerful perspective of flight: www.lighthawk.org. As an example, Lanny Tonning, AOPA’s ASN Volunteer for the Albuquerque Int’l Sunport Airport (KABQ/NM), recently took a NM Wilderness Alliance rep and two people from Tesuque Pueblo in his Socata Rallye on a flight around the Sangre de Cristos from Santa Fe up to Picuris Pueblo and over east to Mora, down to El Porvenir and back across the lower end into Santa Fe to expand roadless areas adjacent to the Pecos Wilderness that are in the National Forest now. He loved it! Type club events, like those organized by the American Bonanza Society (ABS), the Cirrus Owners and Pilots Association (COPA), the Short Wing Piper Club, etc. Participate in air events: P.
State challenges, such as ambassador or passport type programs where pilots fly to X number of state airports in X amount of time for a chance to win prizes. http://www.aopa.org/News-and-Video/All-News/2011/June/2/States-challenge-pilots-to-fly-win-prizes In our region, Arkansas has one:http://www.fly.arkansas.gov/Home/AmbassadorProgram.htm. Compete in air events: P.
Air rallies: Organizers design a course. Participants predict their ground speed and fuel burn at registration. The closer a participant comes to flying over the course and actually flying that predicted ground speed and fuel burn, the better the score. Fly an air race. There are many different kinds of air races: cross country (http://airraceclassic.org/, http://sportairrace.org/sarl/,http://www.airventurecuprace.com/ and even all of those are different between them), aerobatic (ex. : http://www.redbullairrace.com/en_US/pilots), fastest through a course (ex. : http://airrace.org/event/racing/the-course/), etc. Fly as much as you can because every flight is different: P. The lighting, the colors, the amount of traffic, your abilities as a pilot. Everything is always different. Touch a cloud: P. Fly a capable aircraft (like some Grummans where you can open the canopy) and touch it! Cool (literally sometimes) experience. Some things are seen differently from the air: P.
And some things can only be seen from the air: P. Because using Google Earth does not count! Pretty wind roses at airports, especially those done by the 99s. Air traffic control: Whether it is working for the FAA in a federal tower or for a contract tower under an FAA contract. Aviation weather forecasters: Pilots know the type of weather information that is useful to us. Aviation reporters: We all know most TV stations always get aviation news wrong. That’s because most of them do not have aviation experts onboard. The Wichita Eagle, as an example in the region, is usually pretty good about having knowledgeable aviation reporters on the team. School teachers: Put your aviation STEM skills to work in the classroom. And, yes, why not, impress folks at parties… ha! ​And you said you needed an excuse to fly? The possibilities are endless and you will love every minute of it! You may also want to take a look at AOPA’s “Aerial Adventures – 99s Ways to Fly” (http://www.aopa.org/Products-and-Services/AOPA-eBooks) where AOPA editors share some of their favorite getaways, routes, and airborne challenges.